When it comes to allocating infrastructure funding, Network Rail has divided Britain into four regions: Scotland, Central, South, and Western & Wales. 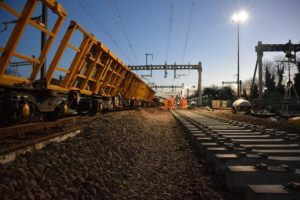 Network Rail has now announced infrastructure contracts for a pot worth 1.5 billion GBP, to be spent in Central England. In particular, it announced that Balfour Beatty, TSO and SNC-Lavalin’s Atkins business were among the recipients. Egypt: Alstom has fitted its Smartlock 400 signalling system, a computer-based interlocking system, at Maghagha Station. This station is located on the Beni Suef-Asyut line and is the second such system Alstom has installed on the route. Alstom won the contract for the signalling equipment on this 240km line in 2015. 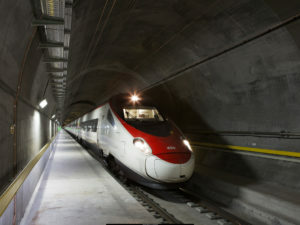 Chinese rolling stock manufacturer CRRC has won a contract for fifty flat cars with Swiss logistics company Hupac. Having signed the contract earlier in 2018, CRRC has now shipped the prototypes to Europe where they will undergo further testing before they can go into commercial operation. CZ Loko, which is based in the Czech Republic, has so far supplied its domestic market. Now it has received a contract from Serbia for its EffiSunter 300 locomotive. Serbia Railways Infrastructure has ordered two of these shunting locomotives from the company. Once they enter service, they will perform both shunting duties as well as light haulage. Austrian Federal Railways (OEBB) and Siemens have signed a contract for 24 additional Desiro ML regional trains. These trains will operate under OEBB’s ‘Cityjet’ brand and be manufactured in Germany and Austria. Siemens will start delivering on this order in 2020. Once put into commercial operation, these trains will run S-Bahn services in the country. 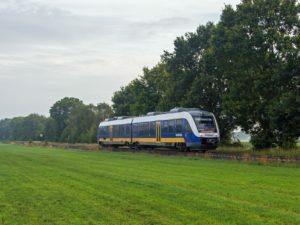 Czech passenger rail provider RegioJet has signed a contract to purchase seven Elf EMUs from Polish manufacturer PESA. This contract is worth more than 20 million euros (22.6 million USD). Delivery of the electric multiple units should begin in the second half of 2021. They will then go into service in December 2021 in time for the timetable change. DB and Spanish rolling stock manufacturer Talgo have unveiled a new locomotive-hauled long-distance train for the German and international market. Flexible in nature, they will become part of Deutsche Bahn’s fleet in 2023. DB’s initial order with Talgo is for 23 trains. This is part of a framework agreement DB and Talgo have signed that is for up to 100 multi-system locomotives and carriages.